The compromise was reached after only one round of negotiations between the European Parliament, Council and European Commission (EC). “The aim of the proposed amendment to the gas directive is to ensure that the rules governing the EU’s internal gas market apply to gas transmission lines between a member state and a third country. This will make the EU’s legal framework more consistent, enhance transparency and ensure legal certainty for both investors in gas infrastructure and users of the network,” an EU Council wrote in its press statement. According to the EU’s gas liberalization rules, there must be a clear separation between energy generation and supply and the operation of transmission networks. So far, this regulation has only applied to the internal market. Now it may be extended to foreign markets such as Russia. What does it mean for Russia? Much like its sister Nord Stream 1 pipeline, which is not covered by EU gas rules, the Nord Stream 2 infrastructure is currently completely monopolized by the Russian state-owned Gazprom. 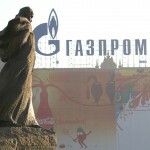 Subjecting the project to EU’s gas rules might interfere with that design and cause many grievances for the Russian government-backed gas giant. According to the Russian daily Kommersant, the pipeline is now under serious risk of being underutilized. This is due to the fact that the latest decision of the EU institutions gives the EC the right to force Gazprom to provide access to the pipeline to third parties. “If the creation of an independent operator is possible, the third party access can’t be provided. 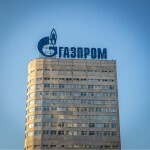 This is due to the fact that Gazprom, having an exclusive right for gas export, is the only company eligible to supply gas to the Russian end of the pipeline,” Kommersant wrote. If Gazprom does not comply with the new rules, the EC may prohibit it from utilizing more than half of Nord Stream 2 capacity, leaving the other half to potential “third parties”. 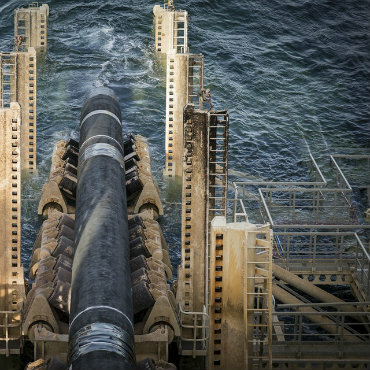 Although extending the EU’s gas rules to third countries can’t stop the construction of Nord Stream 2 pipeline, which is expected to be launched before the end of 2019, it could cause delays and financial loses for Gazprom. 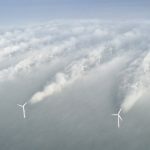 “That’s because the pipeline would find itself covered by two different regimes: the EU’s gas rules at the German end and Russian rules at the other,” Marco Giuli, an analyst at the European Policy Center, a Brussels think tank, told Politico. In theory, the problem could be solved by exempting the Nord Stream 2 pipeline project from the EU gas legislation. Such a move could be initiated by Germany, an EU member state with the highest stakes in the enterprise. Germany could conclude an intergovernmental agreement with Russia, maneuvering around the EU legislation. However, taking this path would be long, immensely complicated and would not guarantee a success. If such path was taken, Germany, as an EU member state, would still need to cooperate closely with the EC. It would need to get a permission to enter into negotiations with Russia concerning the intergovernmental agreement. It would then also need a permission to sign such a contract. In both instances, the EC is obliged to take a decision within 90 days. However, it has the right to request additional information, possibly delaying the deadline for years, as was the case with the Opal pipeline. The EC can also make recommendations to Germany on the text of the treaty and the inclusion of certain provisions. According to the Financial Times, Russia and Germany have already started the negotiations. The two parties were holding talks in Berlin on Thursday February 21. “Unbundling or third party access will be key,” Peter Altmaier, the German economy minister told the Financial Times. “We will have to discuss that with the investors, with Gazprom, but I’m optimistic that a good, sustainable solution can be found,” he added. Despite the bureaucratic hurdles, as well as the opposition from the United States and several EU member states, including Poland, the pipeline project is still up and running. 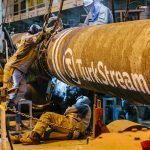 In February, the Russian news agency Tass informed that Nord Stream 2 AG, the company operating the pipeline project, laid about 700 km in total for two lines of the gas pipeline. 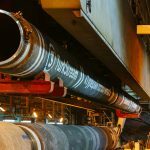 The Nord Stream 2 project envisages construction of two gas pipeline lines with a total capacity of 55 billion cubic meters of gas per year from the coast of Russia through the Baltic Sea to Germany. 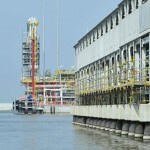 The pipeline is expected to be launched before the end of 2019.